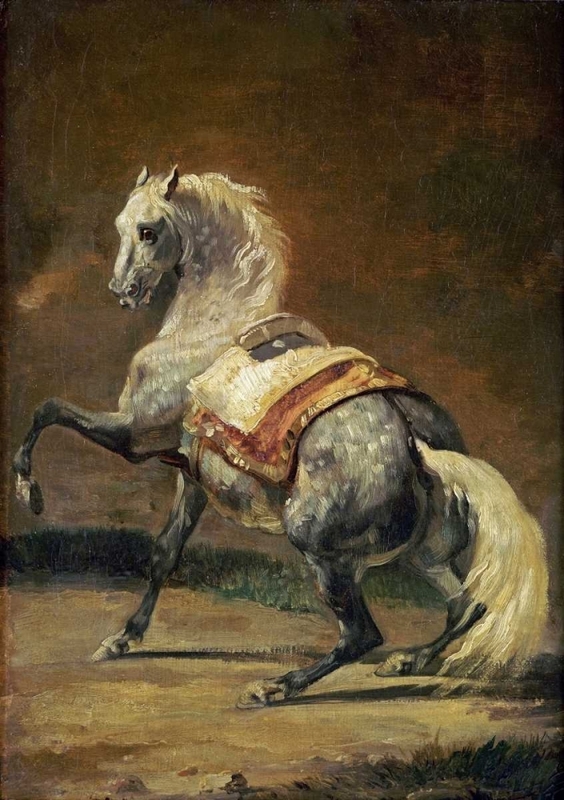 "Born in Rouen in 1791, Géricault was the son of well-to-do parents.In 1808 he was sent to study under Carl Vernet but left him after two years, saying ""One of my horses would have devoured six of his"". 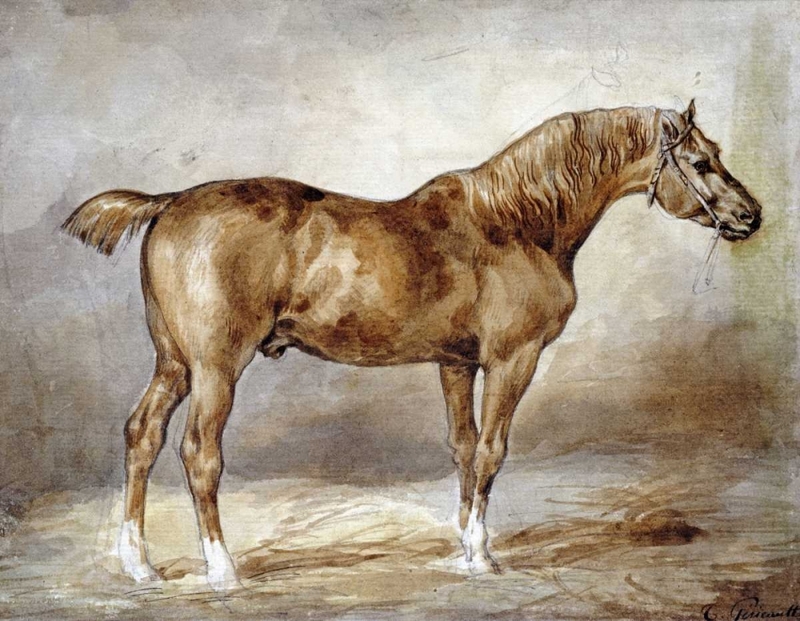 He was strongly influenced by Gros, particularly in his painting of horses and his drawings of contemporary subjects. 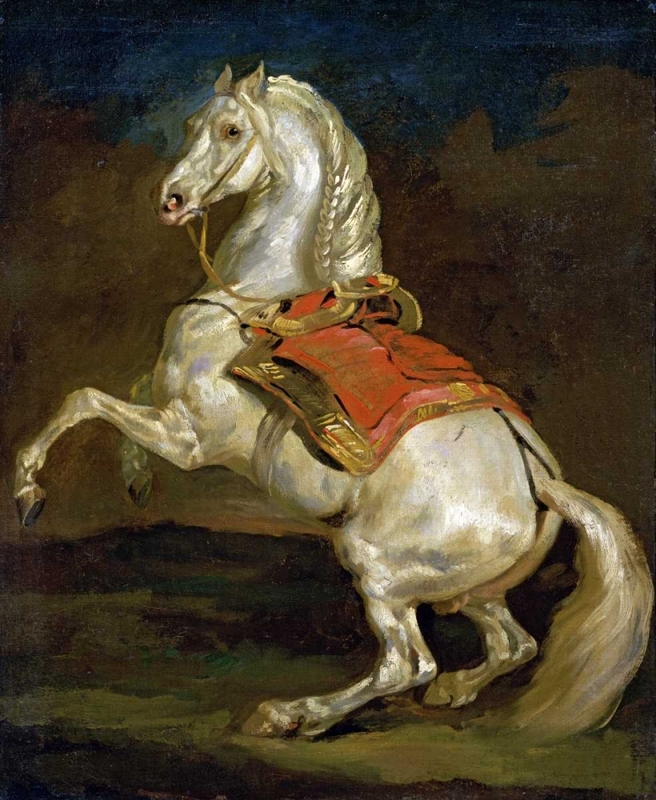 His technique was innovative: he abandoned the use of sketches and painted directly onto the final canvas from models.During the 100 days of Napoleon's return from exile in 1815, Géricault was so disgusted by the desertion of the troops of Louis XVIII to Napoleon that he joined the Musketeers and accompanied the fleeing king to the Belgian frontier. Later, in the swing of opinion, he regretted this and sided with the liberal opponents of the restored monarchy. 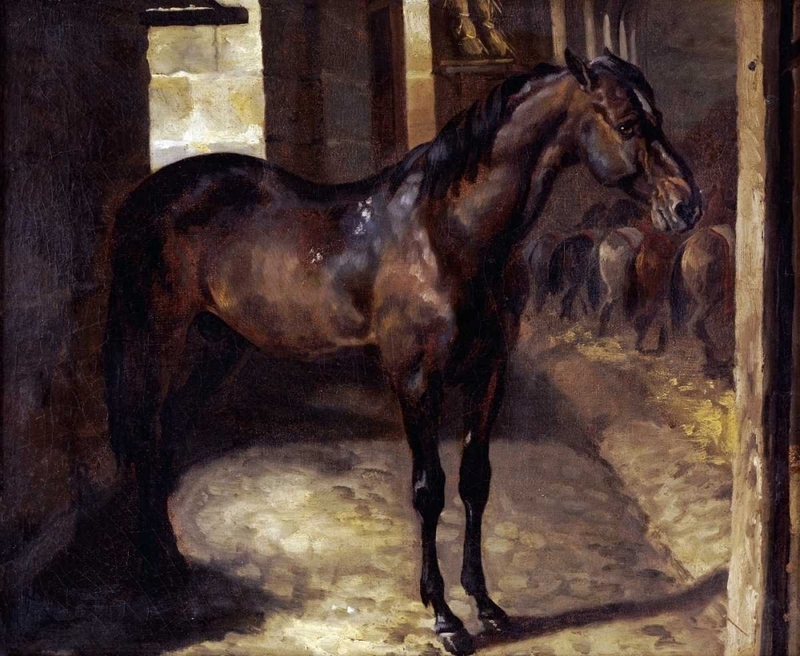 This was reflected in many of his drawings.Between 1820 and 1822, Géricault was in England and during his long stay he made many lithographs of horses and scenes of the poverty in the London streets. 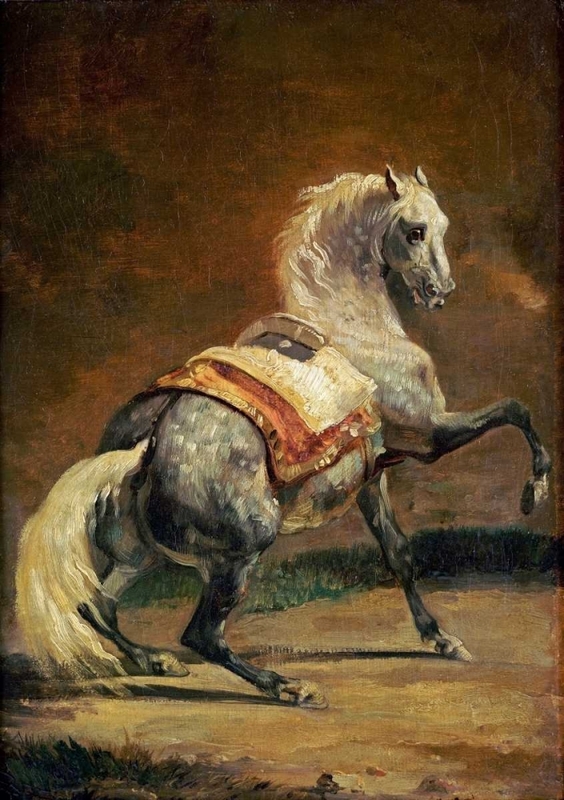 He had a great influence on the development of the romantic movement, despite the fact that he only exhibited a few works.Géricault died in 1824."